For those that have read my fatherhood book, which happens to be an Amazon best seller, you will know that one of the things that I enjoy most about being a dad is finding ways to spend time with my two boys. 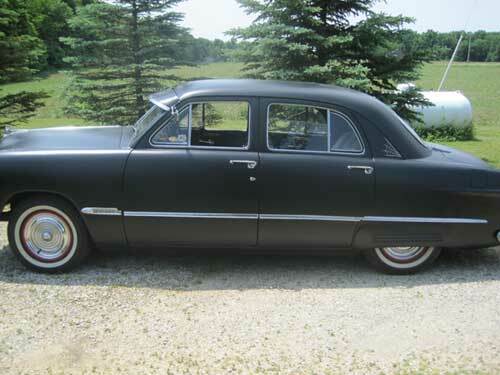 Well, maybe not a brand new car – as you will see shortly – but a car that we can enjoy together. Growing up I never really thought about cars much, other than begging my parents to borrow theirs once I turned 16 and wanted to head out with my buddies. But as I finished up college, and now have two kids of my own, I look back and wish that my dad and I had shared a bond over cars. Out in the hot, dusty garage with the hood popped open. Learning about tools (and life), and how no job would be complete until you skinned at least one knuckle. From the time I tried my damnedest to convince my dad to let me buy a 1972 Olds Cutlass when I was 16, I have wanted to own a classic car. Not a show car though, but rather a car that could be an every day driver. One that needs work, and one that I won’t blow a gasket over if it gets a scratch. 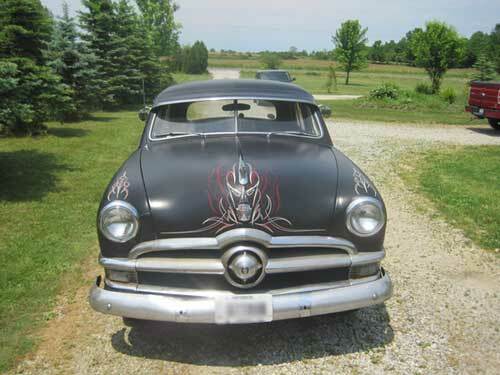 The search was over when I found my 1950 Ford Custom. Without question, some will look at it and turn their nose. 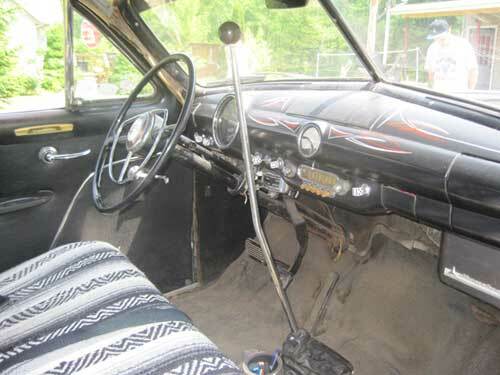 Or ask me when I am going to fully restore the car to show quality. But that isn’t what I want. 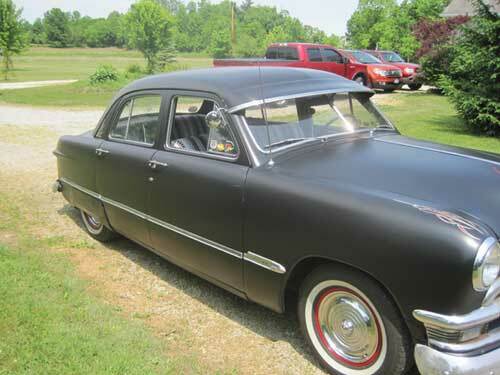 For me, this car fit my desire to find a rat rod style cruiser that I can drive anywhere and everywhere I want, but at the same time have a laundry list of things to work on and customizations to make. By no means am I an extremely skilled mechanic, but having a good running car means I have an opportunity to learn and have fun. Ideally, my two boys will see me working on the car and it will pique their interest enough to get greasy and help me. And maybe it will be something that they can then pass on to their kids, from one generation to the next. 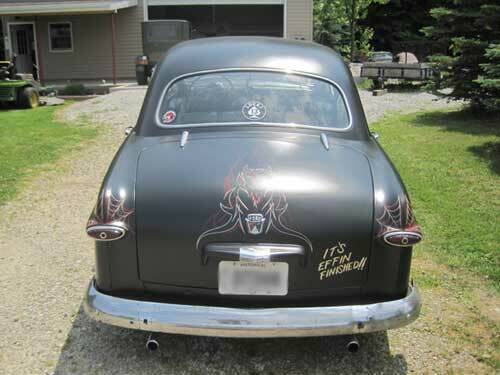 But even if all they want to do is hop in the seat next to me and take it out for a joy ride, that is fine by me too! Not too long ago I mentioned a new info product that I was preparing to launch and I would like to let you all know that it has launched this afternoon! As you surely know, the Kindle is one of the hottest markets right now for entrepreneurs looking to make their mark and build an income online. So naturally, my product is targeted for that market and is something I used in boosting my own book to Best Seller status. The new product is called Kindle Buyer Booster and is targeted as a supplement to all the information people are learning about selling Kindle books. I’ve bought quite a few products myself from people that promise the world when it comes to success with Kindle books. There have been some that have really great information, but many others that completely miss the mark with what they are teaching. But one thing that has been consistent across all of them is that they don’t cover the tips that I have provided in Kindle Buyer Booster. The key ninja secret sauce is something really easy to implement, but it adds social proof to your book instantly that boosts your book up the rankings and puts it in front of more eyeballs on Amazon. I’ve made this super affordable so everyone can reap the benefit too! Head on over to the Warrior Forum to pick up a copy now! 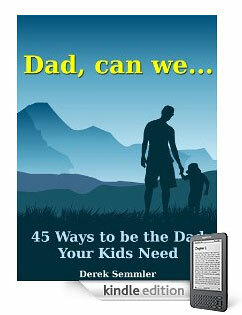 Take a stroll down memory lane and you will recall that I published my first Kindle book titled Dad, can we… 45 Ways to be the Dad Your Kids Need last summer. After the initial announcement about the book, I didn’t do a whole lot with it outside of tell some family and friends about it. Then I kind of let it sit on Amazon, hoping that people would buy it and like it. They would talk about it and more people would buy it, and before long I’d be retiring. Right! Well, as you can imagine the book didn’t do too much. Sold a few copies here and there, but generally was not the golden nest egg I dreamed about. 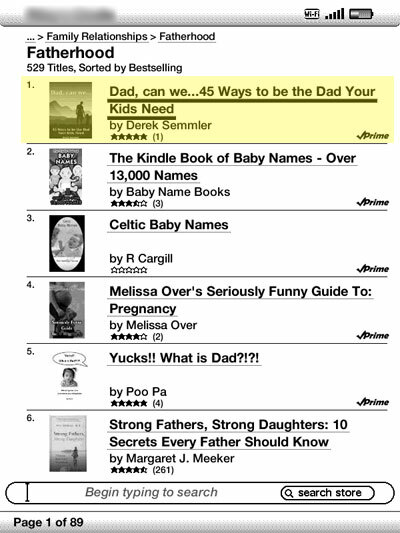 At this moment my book is now the #1 Bestseller in the Fatherhood category on the Kindle! Yeah, you heard me right…see for yourself. As much as I’d like to take credit for nailing the #1 spot all on my own, I do owe a great deal to a Kindle Ninja that I was fortunate it enough to meet recently and he allowed me to pick his brain a little. Combined with some ninja secret sauce of my own, I crushed it! Have you bought a copy yet?